Thankyou for viewing my card which has been made for the embossing theme challenge. This card was made using the seahorse embossing folder and the whale stamp used from the Rubber Dance collection. The whale was also ink embossed. Thankyou everyone with cheers from Judy. Thisbis wonderful! I love your card. 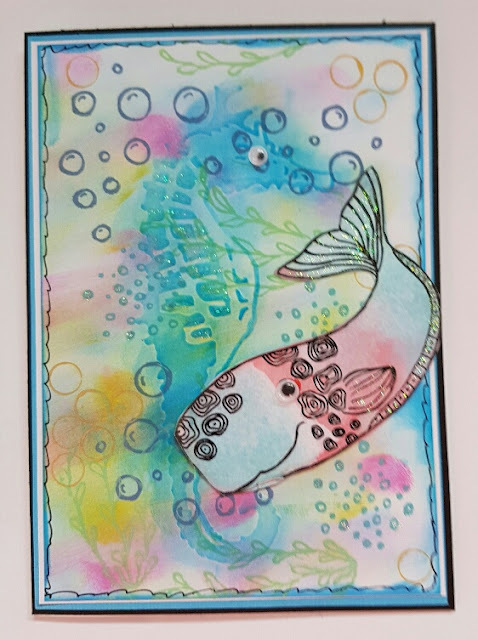 Thank you for joining the Rubber Dance Embossing Challenge.